CAOTICA Newsletter is the combined newsletter from Alan Sharland, Creator of the Communication and Conflict website and also Director of CAOS Conflict Management based in London, UK. 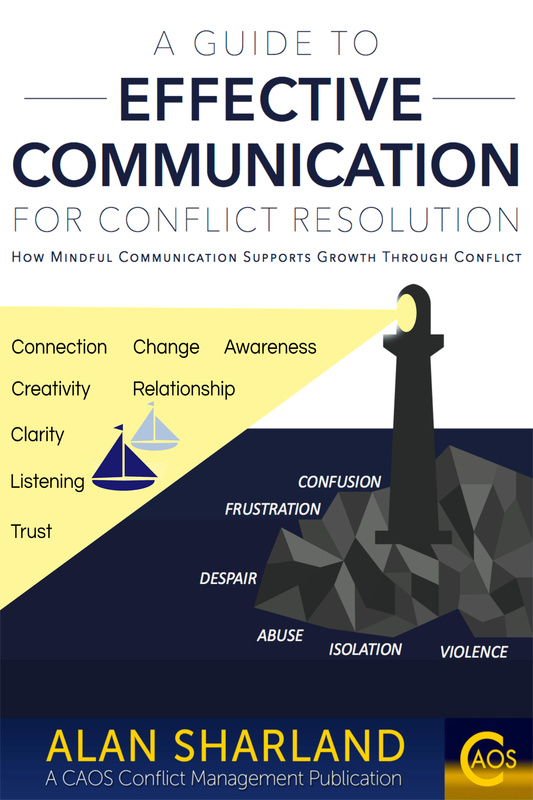 CAOTICA newsletter sends out articles, videos and information that Promote Mindful Communication, Growth Through Conflict - aligned with the intention of this website. Please subscribe below if these updates would be of interest. Thank You! See also the page on Principle 2 - that we don't interrupt one another for discussion of aspects of effective communication closely related to that given on this page. "Hi Alan. I am a mediator/conflict resolution advisor for [Canadian Government Agency]. I also coordinate the mediations in our area and am responsible for finding ways to help our volunteer mediator network.